Bruno DiFabio is the owner and pizzaoilo at ReNapoli in Old Greenwich, and has been making pizza for thirty years. A fact made more interesting when you consider he is only 42. He has considerable bragging rights with five World Pizza Championship titles under his belt and stints at the famed ovens of Spacca Napoli, Da Michele and Trianon in Naples. What does Bruno make for Christmas dinner? Pizza, of course. 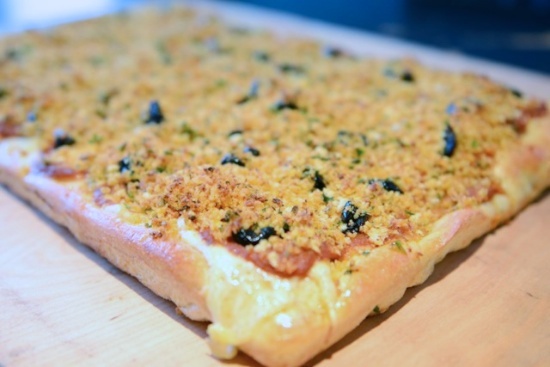 His Sfincione di San Giovanni (Sicilian Christmas Pizza) recipe is below and is a must read for any serious pizza aficionado. This holiday season, make them what they want...pizza.